Not Your Mama’s Brussels Sprouts. 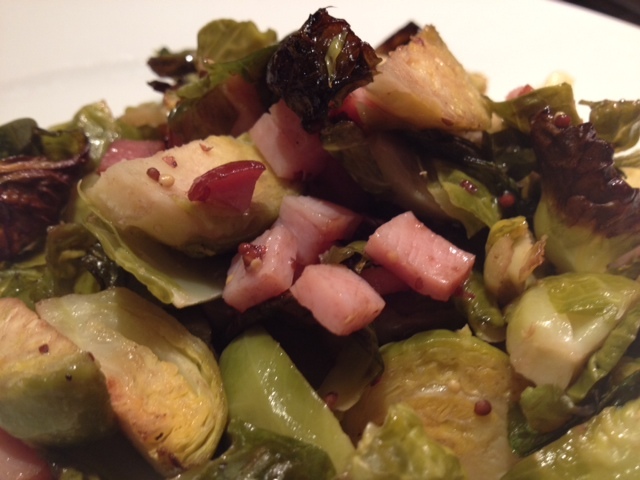 Dijon Roasted Brussels Sprouts With Canadian Bacon. Brussels sprouts are making a comeback. If you haven’t had brussels sprouts since your mom cooked them for you when you were a kid, it’s time to give them another chance. They are so good for you and have endless possibilities in the kitchen! One of my favorite ways to cook them is with pancetta (Italian bacon) but for this recipe I decided to make them a bit healthier by using Canadian bacon, which is almost entirely fat-free, yet still packs in the flavor of ham/bacon. 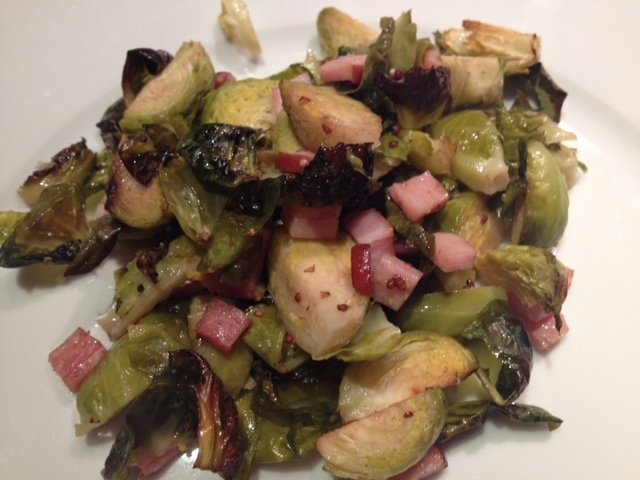 If you think you don’t like brussels sprouts, I dare you try these… you won’t regret it! Begin by trimming and cutting your sprouts. 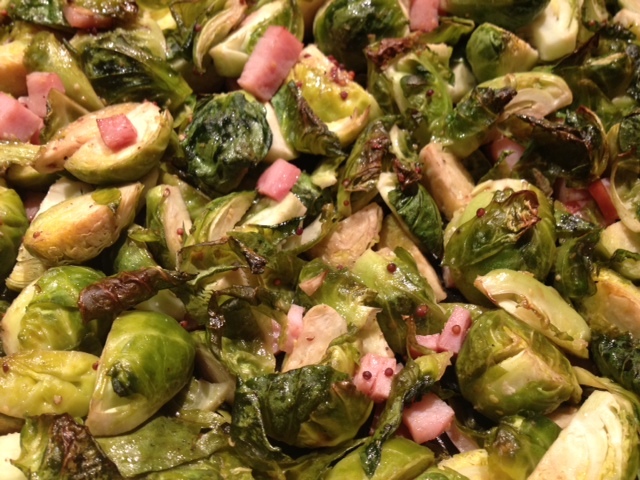 Cut off the bottoms of the sprouts and then cut them into quarters lengthwise. 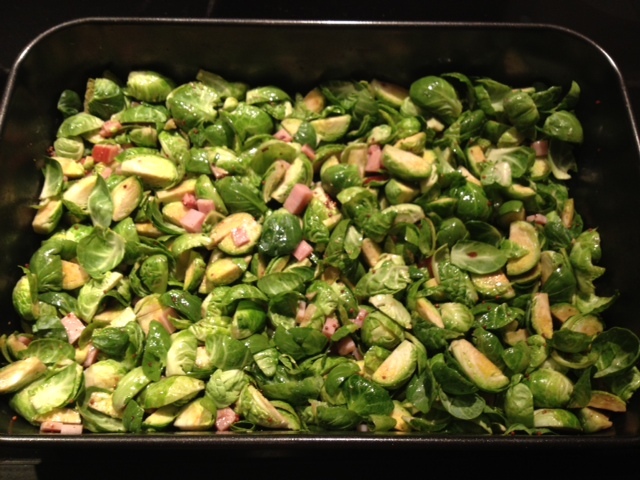 Put the sprouts, along with any sprout leaves that have fallen off, into a large roasting pan and add in the Canadian bacon. In a small mixing bowl, combine the olive oil, Dijon and balsamic vinegar and whisk together. Pour this over the sprouts along with a generous dash of garlic salt/black pepper and toss well to combine. 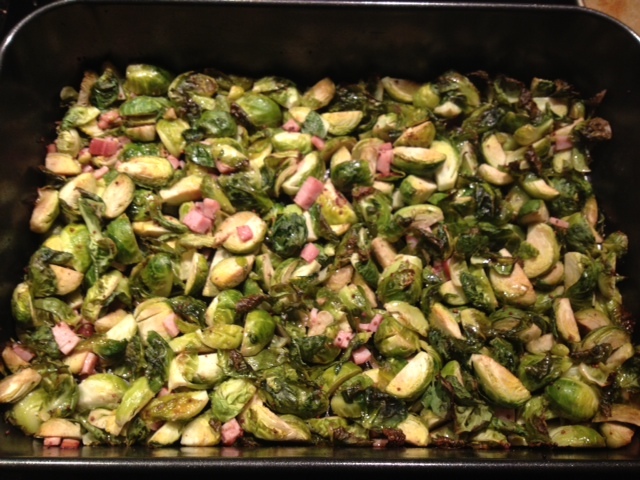 Bake in the oven on 400 degrees for 35 minutes or until the brussels sprouts are lightly browned. ← Sweet & Savory Spinach Salad.